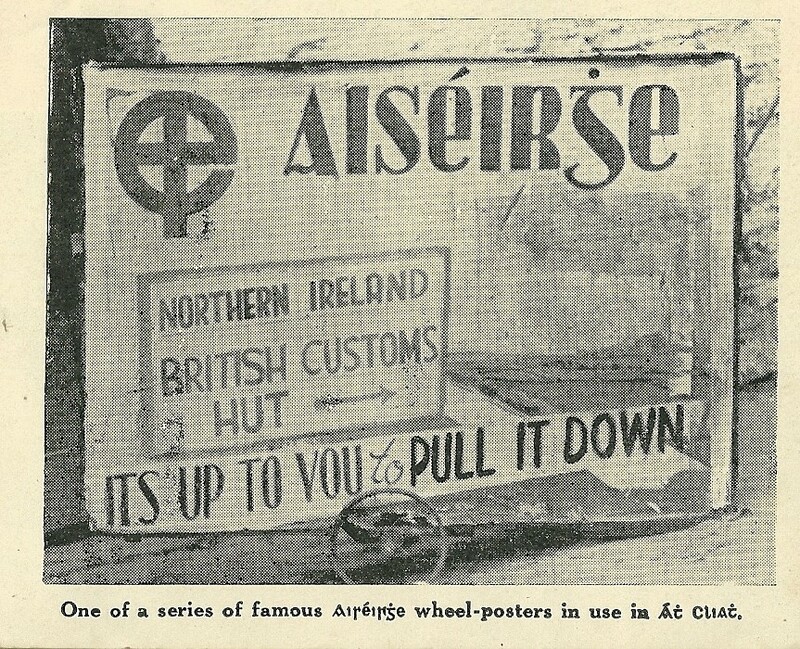 A number of scans from a Ailtirí na hAiséirghe 1946 pamphlet “Partition: A positive policy” written by An Ceannaire, Gearóid Ó Cuinneagáin. From the mid 40s a letter from Ailtirí na hAiséirghe Louth Councillor Eoin O’Coigligh outlining some of Ailtirí na hAiséirghe s policy and attacking Mr T. Leslie of The Labour Party. 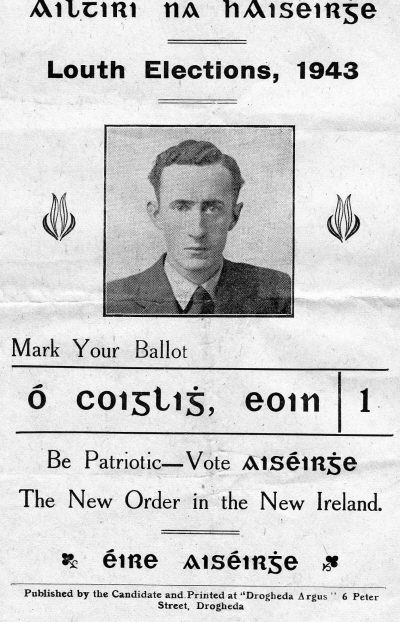 From the 1943 General Election in Louth a leaflet for Ailtirí na hAiséirghe candidate Eoin O’Coigligh. A Councillor originally elected for Labour, he polled 585 votes. I’ve more Ailtirí na hAiséirghe material posted which have details of policy etc. 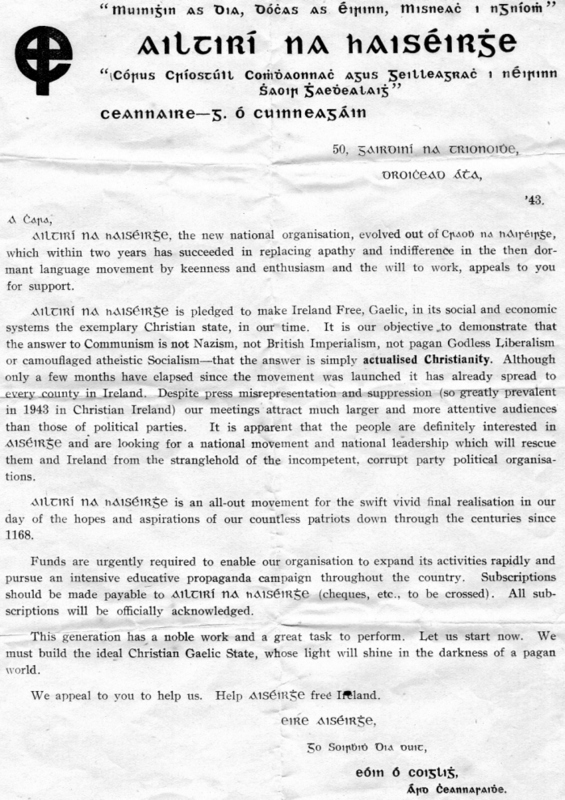 From 1943 a letter from Ailtirí na hAiséirghe Councillor in Louth Eoin O’Coglaigh (Owen Quigley) looking for funds and outlining the aims of the party. 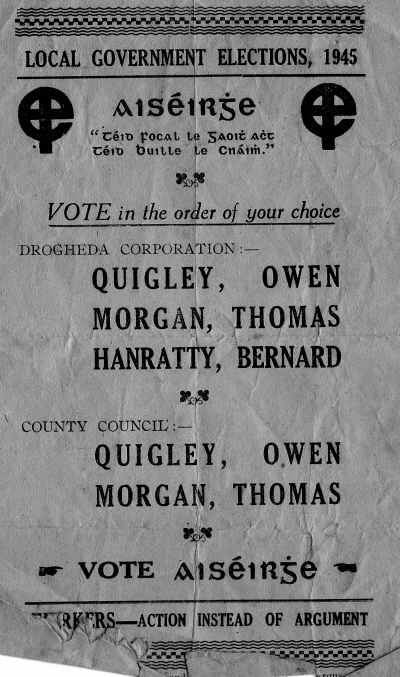 From the 1945 Local elections leaflets for Ailtirí na hAiséirghe candidate Eoin O’ Coiglig (Owen Quigley), Thomas Morgan and Bernard Hanratty who were running for Louth County Council and Drogheda Corporation. Quigley was elected to Louth County Council and Drogheda Corporation whilst Thomas Morgan was elected to Drogehda Corporation. Quigley was a former Labour Party councillor he joined Ailtirí na hAiséirghe after their foundation.